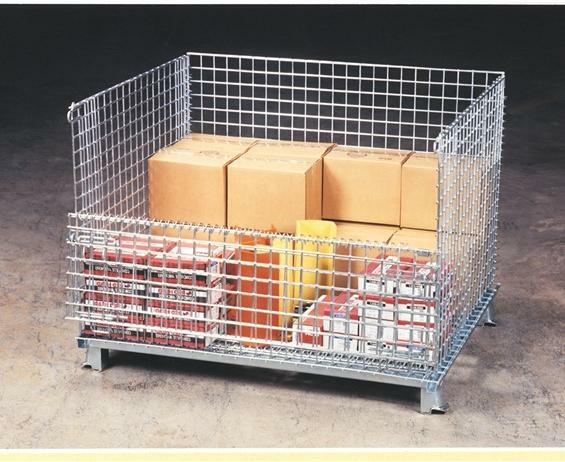 Features the most efficient method for parts storage or work-in-process operations. Minimum Qty. - 2 baskets. $200 minimum order. Drop gate provides for easy access. 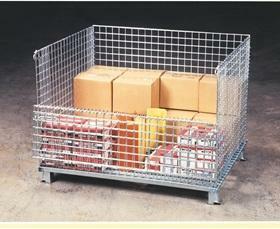 Constructed of heavy-duty wire mesh with a reinforced understructure for maximum support. Rated up to 4,000 lbs. 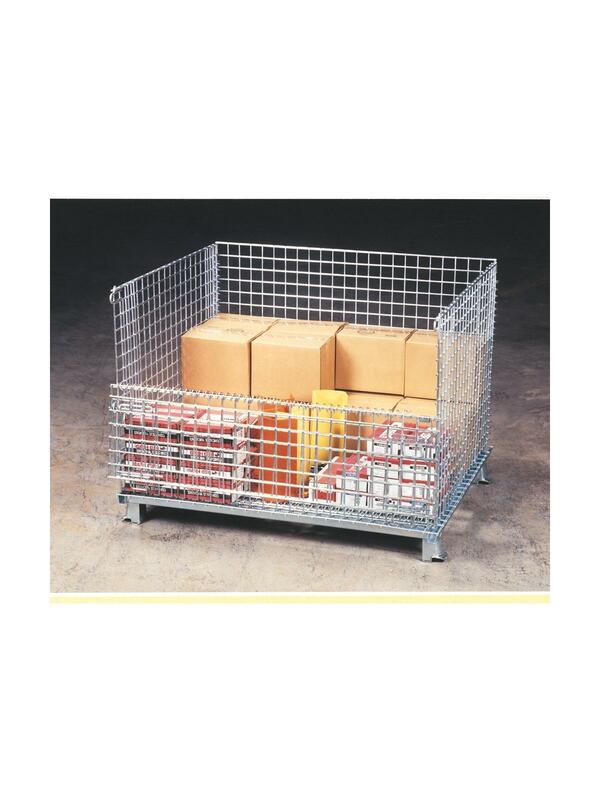 Galvanized finish after the welding process for maximum durability and a rust free life. Custom sizes upon request. FOB Shipping Point. 20 x 32 x 22"20 32 22"
19 x 31 x 16"19 31 16"